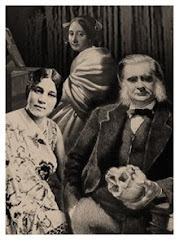 The Secret Science Club: The Secret Science Club hosts the Imagine Science Film Festival and a NIGHT OF SCI-TASTIC CINEMA @ the Bell House, Monday, October 17, 8 PM, FREE! The Secret Science Club hosts the Imagine Science Film Festival and a NIGHT OF SCI-TASTIC CINEMA @ the Bell House, Monday, October 17, 8 PM, FREE! SPECIAL EVENT: The Secret Science Club is teaming up with the Imagine Science Film Festival for “Controlled Experiment,” a night of science-inspired short films. Documentary. Music Video. Animation. Don’t miss some of the festival’s coolest, most futuristic entries, including Transgenic Spider Goats, Stanley Milgram: The City and The Self, Protein Expression, E. Chromi, Creature Cast: Footage From the Deep, Fossil Carrion Feeders, and Four Letter Words. FREE! Just bring your smart self. Doors open at 7:30 PM. 21+. 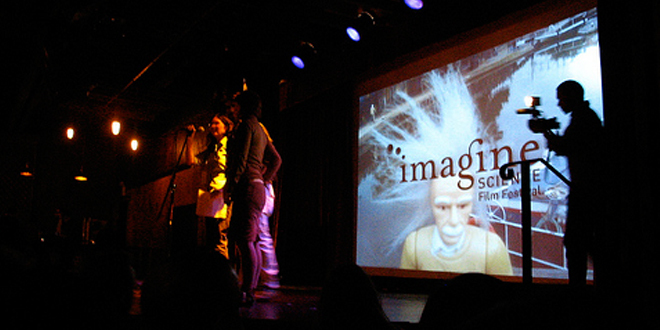 The Imagine Science Film Festival runs from October 14 to 21 at venues all around the city. Visit here for a complete listing of events.